Dicko’s death appears to be a direct consequence of Frances’s “Operation Bayard.” This operation used intelligence gathered in late March 2017’s “Operation Panga,” a joint French- Burkinabé effort to clear the region of the border with Mali in Soum Province of Islamist militants. 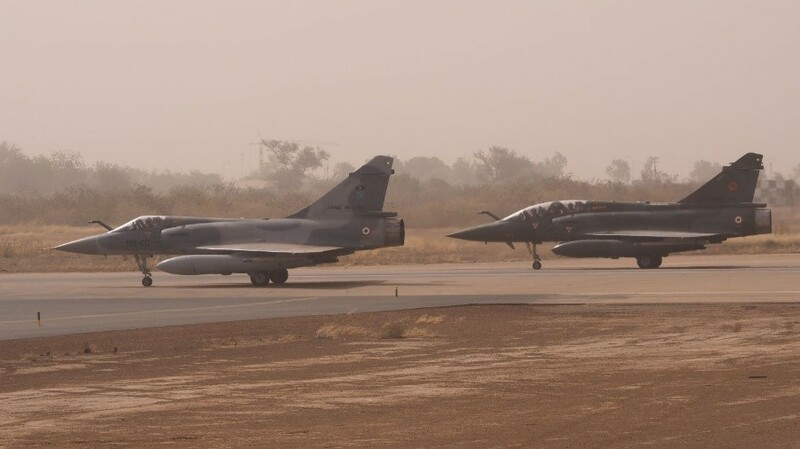 Operation Bayard began on April 29 with strikes by French Mirage 2000 jet fighters on suspected Ansar al-Islam bases along the border in the Foulsaré Forest. Tigre HAD (Hélicoptère Appui Destruction – Helicopter Support Destruction) attack helicopters armed with Hellfire AGM-114 missiles secured the perimeter to inhibit the militants’ escape before French commandos were inserted by NH90 Caïman helicopters. Over April 29-30 the initial team was joined by French para-commandos and combat engineers to defuse the mines the militants were in the habit of deploying to prevent infiltration of their bases (a French military engineer was killed by a mine during Operation Panga). The commandos killed 20 militants and wounded many more before seizing twenty motorcycles (an important element in Ansar al-Islam’s surprise attacks), two vehicles, and a large quantity of arms, ammunition, computer gear and bomb components. Malam Ibrahim Dicko and his bodyguard were reported to have come under attack from one of the Tigre helicopters before the surviving militants scattered to escape the French commandos (Jeune Afrique, July 12, 2017). Unable to settle in one place for long due to constant pressure from pursuing security forces, Dicko is believed to have died sometime in June from complications due to diabetes. A vague posting on Ansar al-Islam’s little-used Facebook page (no longer available) suggested that Dicko’s “grave circumstances” had led to his replacement as Ansar al-Islam leader by his brother, Jafar Dicko, the “new commander of the believers and guide of Ansar al-Islam” (Fasozine.com, June 28, 2017). The expiry of the charismatic Ibrahim Dicko and the death of 20 of his fighters (with many more incapacitated out of roughly 150 members) in Operation Bayard may deal a death blow to Ansar al-Islam, which is less than a year old. The group has already lost two of Dicko’s most valued lieutenants. One, Amadou Boly, was assassinated on Dicko’s orders when he objected to the growing extremism of the movement; the other, Harouna Dicko (Dicko is a very common name in the area), was killed in late March by the Burkinabé Groupement des forces anti-terroristes (GFAT), a joint army/gendarmerie anti-terrorist formation. Jafar Dicko, an unknown quantity, will be hard-pressed to revive the movement as an independent military threat. Surviving members are more likely to join one of the other militant groups operating in the region with similar aims, such as Amadou Koufa Diallo’s largely Fulani Force de libération du Macina, now part of the larger Jama’at Nusrat al-Islam wa’l-Muslimin (JNIM – Group for the Defense of Islam and Muslims) led by Iyad ag Ghali. Though the West African nation of Burkina Faso (and its earlier incarnation as Upper Volta) has had a sometimes turbulent political history since gaining its independence from France in 1960, terrorism was not one of its problems until the creation of Ansar al-Islam, an Islamist extremist movement led by Malam Ibrahim Dicko. The last two years have seen an increasing number of terrorist attacks in the landlocked majority Muslim nation that have killed over 70 people. Assassinations, intimidation and assaults on civic institutions are creating widespread instability in northern Burkina Faso that is interfering with the delivery of social services and food distribution. Though Ansar al-Islam militants number only roughly 150 to 200 individuals, the small movement wields a disproportionate influence in impoverished northern Burkina Faso (Agence de Presse Africaine, April 8). Today, nearly all Fulani are Muslims, and they have a long tradition of jihad. In the 18th and 19th centuries, the Fulani attempted to create Islamic caliphates in the Sahel region until French conquest put an end to these states in the 1890s. The goal of Ansar al-Islam appears to be the re-establishment of a Fulani caliphate in the region with the aid of the Islamic State (IS) organization, which is making inroads in the area at the expense of its Islamist rival, al-Qaeda in the Islamic Maghreb (AQIM). Unlike the earlier Sufi-dominated jihads, which succeeded, in part, due to their ability to absorb a certain degree of pre-Islamic customs and religious practices, Ansar al-Islam is an expression of Salafist Islam, which is intolerant of any modifications to what it sees as the “pure” Islam of the Salaf (the “pious predecessors” of the first three generations of Islam). Approximately 46-years of age, Malam Ibrahim Dicko was born in the town of Soboule, 60 kilometers (km) north of the city of Djibo in Burkina Faso’s northern Soum Province. Following an early education at a state school, Dicko moved on to Koranic studies. 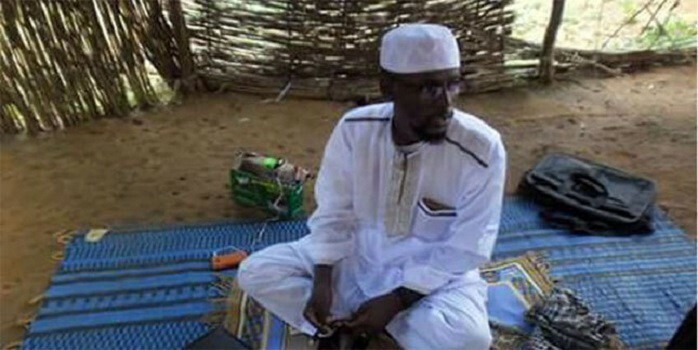 After marrying the daughter of a prominent Djibo imam, the young Dicko began to gain a reputation for piety and knowledge of Islam to the point that his efforts to promote Islam through his al-Irshad organization gained state approval (Le Monde, April 11; Jeune Afrique, January 9). Malam Ibrahim began attracting a following in northern Burkina Faso in 2012 through preaching and delivering radio sermons. These activities drew the attention of the security services of the Blaise Compaoré regime (Compaoré was president until 2014, when a popular uprising put an end to his 27-year term in office) though initially his sermons demonstrated a degree of tolerance. Most notably, Dicko emphasized the equality of the Fulani and the Rimaïbe ethnic group, which had been enslaved by the Fulani in the 17th century. This ran counter to traditional Fulani views in the region and brought Dicko support from the Rimaïbe — the majority ethnic group in Soum Province— while antagonizing traditional Fulani leaders (Le Monde, April 11). The construction of a mosque and madrassa (Islamic religious school) in the Djibo region helped spread his views to local Muslims, though he appears to have fallen off the radar of the national security services for a time. Inspired by the Islamist takeover of northern Mali in 2012, Dicko headed north to join the short-lived rebellion, which was quashed by French forces and their African allies in early 2013. Dicko was arrested for possession of firearms by French troops in Tessalit (northern Mali) in late 2013, along with some 20 young followers. Dicko was also in possession of a large number of Euros at the time of his arrest (Jeune Afrique, April 6). The French turned him over to Malian authorities who confined him in a Bamako prison until he obtained his release in 2015 by paying a large fine (IB Times, January 4). After a short return to Djibo and the divorce of one of his two wives, Dicko left once more for northern Mali in 2015 with a number of followers to take up training in arms (IB Times, January 4). At this time he met extremist Fulani preacher Amadou Koufa Diallo — leader of the Force de libération du Macina, also dedicated to the recreation of a Fulani caliphate — which proved an important stage in his radicalization (Burkinaonline.com, December 28, 2016). 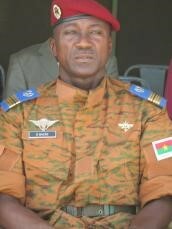 By this time, Dicko had attracted the attention of the newly formed Agence nationale de renseignement (ANR, National Intelligence Agency) in Burkina Faso and shifted his base from Djibo to the forests straddling the Burkinabé-Malian border region (Jeune Afrique, April 6). Having founded the radical Ansar al-Islam movement in late 2016, Dicko created an operational base and refuge in the forests of Mondoro in the Mopti region of central Mali, just across the border from Burkina Faso. Mopti has also witnessed growing levels of jihadist activity since 2015. Three Malian soldiers died in February 2016 when their vehicle struck a landmine while on patrol in Mondoro (BBC, February 9, 2016). 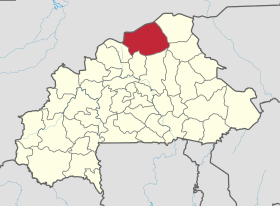 Inside northern Burkina Faso, Dicko’s militants began to threaten teachers and students in state schools, forcing the closure of over 600 schools in Soum and Oudalan provinces (OCHA Reliefweb, February 15). In many cases, armed members of Ansar al-Islam arrive at village schools on motorcycles before storming in to demand teachers abandon the state curriculum in favor of Koranic studies (IB Times, February 2). Weddings and other ceremonies have also been interrupted by gunmen who object to musical performances and anything more than the most ascetic observations of these occasions. Dicko tolerates little dissent in his movement; the group’s first deputy leader, Amadou Boly, was assassinated after objecting to Dicko’s increasing extremism (Burkinaonline.com, December 28, 2016). Ansar al-Islam is also known for attacking dissenting imam-s and deserters from the group, particularly those involved in trying to persuade youth from joining the movement (RFI, January 3; IB Times, January 24). These attacks have served as a warning to locals that collaboration with the government or security forces will be swiftly punished. The murders of educators and those suspected of collaborating with state security forces in Soum Province are typically carried out by militants who arrive at night on motorcycles and then flee across the border to their bases in Mali (particularly in the Douentza region) (Journal du Mali, March 24). 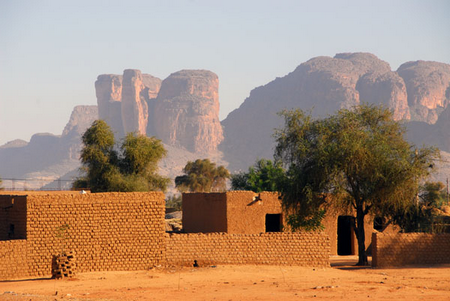 In recent years, Douentza has been the scene of numerous ethnic clashes pitting the Fulani against the Dogon and Bambara peoples. Dicko’s group claimed responsibility for the attack on Burkinabé troops at Nassoumbou (20 km south of the border with Mali) last December that killed 11 soldiers and one gendarme. The security personnel belonged to the Groupement des forces anti-terroristes (GFAT), a joint army/gendarmerie anti-terrorist group formed in 2012 to secure the northern border from terrorist infiltration. The fierce attack by roughly 40 militants in 4×4 trucks and on motorcycles used heavy machine guns and rocket-propelled grenades. One French-built ACMAT Bastion armored personnel carrier was destroyed in the assault. In a statement claiming responsibility for the attack, Ansar al-Islam acknowledged the loss of two fighters but promised “this attack will not be the last” (DakarActu.com, January 4). In mid-February, Ansar al-Islam militants on motorcycles stormed two police stations in Soum Province, plundering them before burning them to the ground. At one site, the militants left behind a sign reading in Arabic “Ansar al-Islam” (La Tribune Afrique, February 28). GFAT obtained some measure of revenge in late March when it succeeded in arresting 18 members of Ansar al-Islam and killing Harouna Dicko, Dicko’s chief lieutenant, in Djibo, the capital of Soum Province (Journal du Mali, March 24). The ability of Burkina Faso’s army to provide security was long weakened by its politicization and rivalry with the Régiment de sécurité présidentielle (RSP), an elite but independent military unit loyal to former president Blaise Compaoré. With training, resources and superior arms all diverted to the RSP, the small, poorly trained and infrequently paid Burkinabe army remained challenged to provide security in Burkina Faso despite U.S. efforts to provide training in conventional warfare and counter-terrorism techniques. When a post-Compaoré transitional government recommended disbanding the RSP (popularly despised for its brutality in support of Compaoré’s rule), General Gilbert Diendéré led the regiment in a failed coup d’état in September 2015. The coup attempt and the subsequent indictment of nearly 100 soldiers and officers effectively sidelined the RSP (Jeune Afrique, April 12). Complicating counter-terrorist operations in the north are the vast distances between settlements, close cross-border ethnic ties and a pervasive lack of trust of security forces, which contrasts with the hard cash paid by the jihadists for information on the movements and strength of the security forces. According to a Burkinabé security official: “Even though we have permanent outposts in many villages, there are still corridors through which they can infiltrate. We will never have enough surveillance resources to manage the problem without the help of the population” (Le Monde, March 6, 2016). Human rights groups state they have received reports of alleged abuses by state security forces hunting Dicko’s militants (IB Times, February 2). 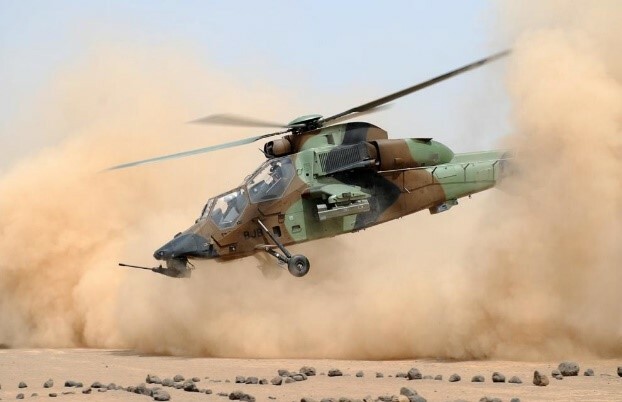 With the support of French troops, vehicles and combat helicopters attached to France’s Operation Barkhane, Burkinabé and Malian troops launched “Operation Panga” in late-March to clear the border region of Islamist militants such as Amadou Koufa and Malam Ibrahim (MaliActu, April 16). The Burkinabé troops, led by Colonel Yves Thiombiano, focused on the Fhero Forest of Soum Province where Ansar al-Islam has established bases. The work is delicate as the jihadists have carefully mined entrances and routes through the forest (Agence de Presse Africaine, April 8). On April 6, a French military vehicle struck a mine, followed by an ambush of a French patrol that killed a military engineer. Speaking of Dicko, Colonel Thiombiano said: “We think that this is a citizen who has lost his way and who can still redeem himself, especially as it will permit the citizens of the Sahel, especially in Djibo, to live in peace, to permit children to go to school and the administration to set up” (Koaci.com, April 10). Recognizing the inability of the security forces of Mali, Niger and Burkina Faso to tackle the jihadists on their own, the governments of these nations recently agreed to unite their troops in the “Liptako-Gourma Force” to counter the terrorists. The new grouping will have a rotating command with a headquarters in Niamey, the capital of Niger. The force is a military offshoot of the Liptako-Gourma Authority, a regional development agency formed in 1970. Its formation was inspired by the Multinational Joint Task Force (MNJTF) created to bring the militaries of five West African states together to combat Boko Haram with greater effectiveness (RFI, January 25). Dicko has displayed an unusual streak of independence, denouncing the decision of his former mentor Amadou Koufa to align the Macina Liberation Front, his Fulani-dominated jihadist movement, with a newly formed alliance of regional jihadists, the Jama’at Nusrat al-Islam wa’l-Muslimin (JNIM, Group for the Defense of Islam and Muslims). Including Mokhatar Belmokhtar’s al-Murabitun and led by Tuareg extremist and Ansar al-Din leader Iyad ag Ghali, the Jama’at has pledged allegiance to al-Qaeda leader Ayman al-Zawahiri. In a sign of the growing rift between the two Fulani jihadists, Dicko characterized Koufa’s decision to align with al-Qaeda rather than the Islamic State as “a clear sign of weakness” and suggested Koufa was nothing less than a “hypocrite” who believed he could deceive God (Facebook posting via BBC Monitoring, March 14). The merger received the approval of al-Qaeda in the Islamic Maghreb (AQIM) leader Abu Musab Abd al-Wadud and is seen as an attempt to consolidate support for al-Qaeda at a time when it is being challenged by the spreading influence of rival Islamic State formations in West Africa (Jeune Afrique, March 2; Reuters, March 18). Despite Ansar al-Islam’s small size, relative lack of striking power and general unpopularity with much of the Burkinabé community it intends to rally to its side, Malam Ibrahim’s Islamist militants have exposed the weakness of the state in northern Burkina Faso while demonstrating the virtue of audacity and the value of cross-border refuges in insurgent operations. As in the case of Boko Haram, regional inter-governmental cooperation is essential to contain the threat posed by Ansar al-Islam. Given the current small size of the movement and its loss of two of Dicko’s most important lieutenants, the elimination or arrest of Dicko himself might prove a devastating blow to the group, though there are a number of other radical Islamist groups in the region capable of absorbing the remnants. This article first appeared in the April 2017 issue of the Jamestown Foundation’s Militant Leadership Monitor.